This is like...my favorite breakfast that I've made in awhile. I'm a big fan of biscuits. You know what else I'm a fan of? These biscuits have it all!! Plus, they're pretty quick to throw together and don't like make a bjillion dishes. 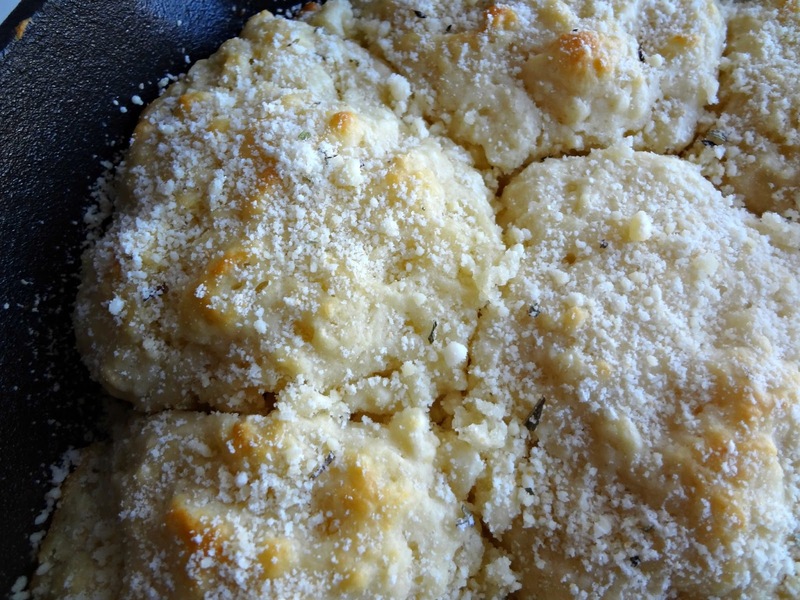 Something about these goat cheese biscuits (texture wise) reminds me of my other fave biscuits recipe, butter biscuits. They're just so fluffy and light, yet chewy and satisfying. My life has been sorta kinda getting crazy lately. On top of regular work stuff (but like...a lot of it), I've also got a film shoot coming up (nothing big but it's a paying gig and it'll take up a lot of time so, yeah), AND my little brother is visiting in a couple weeks. And I've just got more stuff coming up this summer, so, I'm attempting to keep on top of all this blog stuff so that even when I'm busy you'll all still have stuff to read. Plus...we still gotta eat. So I've still gotta cook. And these biscuits are PERFECT for busy lil me. I bet they'd be perfect for busy (or not busy) lil you, too! 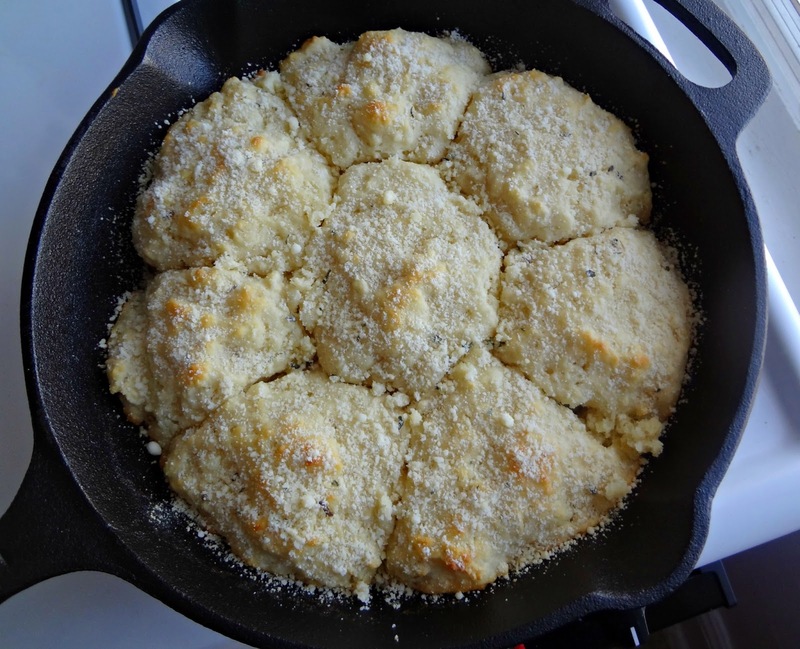 Place a 10 inch cast iron skillet in the oven, while preheating to 425 degrees. Using a pastry blender or your fingertips cut the goat cheese and 4 tbsp. of cold butter into the flour mixture. 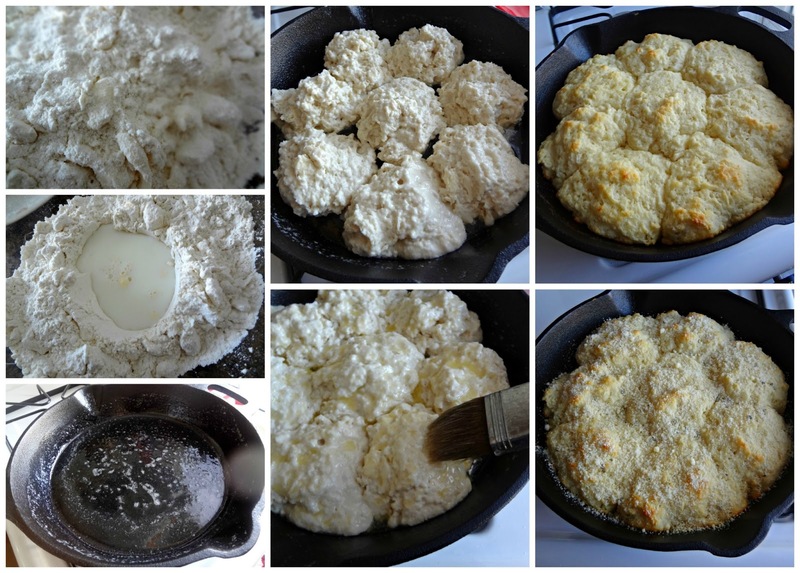 Remove the hot skillet from the oven and add 1 tbsp. of butter. Once it is melted and has coated the skillet, drop the biscuit dough (1/4 cup at a time) into the skillet. Melt the last 1 tbsp. 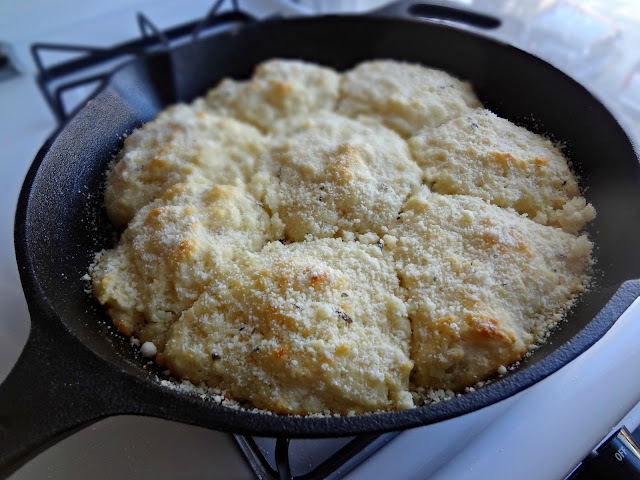 butter and brush onto the tops of the biscuit dough. Bake 14-16 minutes, or until lightly browned on top. 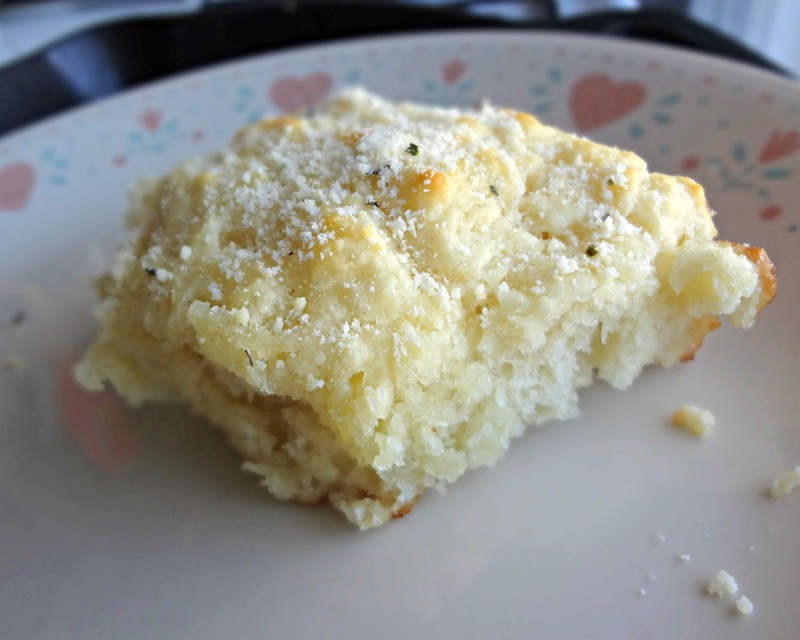 Sprinkle cheese and (if desired) garlic and herbs on top of the baked biscuits. Let cool then eat!